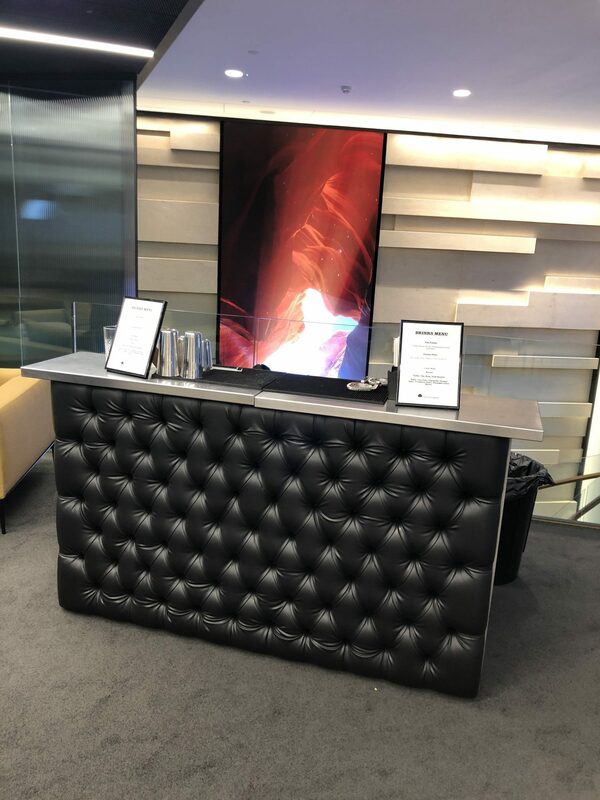 It was the turn of our leather padded mobile bar hire to shine, this time for huge American multi-national Hewlett Packard and in particular their marketing team based in Moorgate, London. 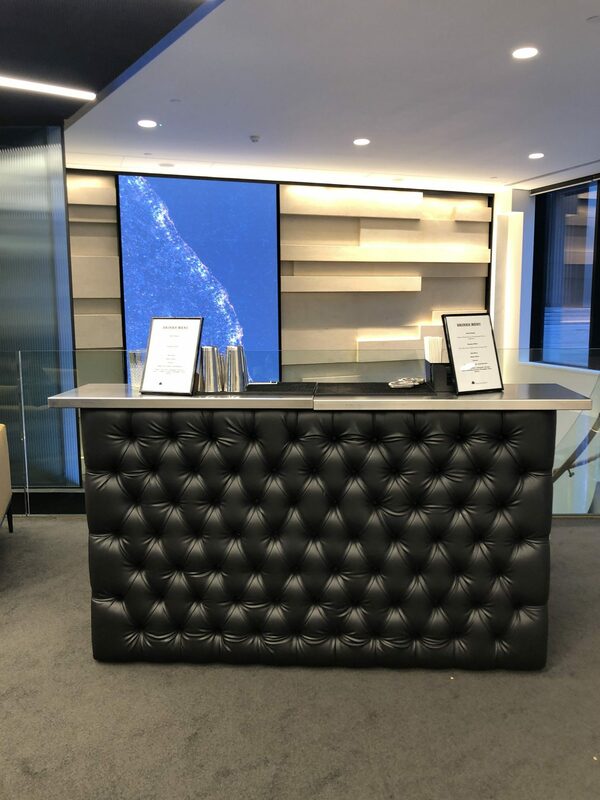 Based on the traditional leather chesterfield design that is so prominent amongst the establishments of London, our leather padded mobile bar fit in perfectly amongst the furniture at the HP offices in Moorgate. The brief were to arrange a 2 hour evening drinks reception for the HP marketing team. What we tend to recommend will change from event to event in order to make sure the bar is big enough, there are enough bartenders and support staff, etc. For this particular event featuring our leather mobile bar we settled on one mixologist and one bar support staff as with only 55 people in attendance the event qualified as a more intimate affair. HP decided on a selection of drinks for their guests, ranging from your standard beers, red and white wine; as well as a tasty selection of our original cocktails. In particular the Pom Pom and the Passion Filler. We provide all of the drinks as well as glassware, although we also offer an option of dry bar hire. In order to make sure the event wasn’t particularly hard for those observing Dry January, we also made sure to have a selection of non-alcoholic drinks as well as non-alcoholic versions of all the cocktails on offer. This is something we can offer at any event if you prefer. Here at Ace Bar Events our mobile bar hire services, including our leather padded mobile bar, are all fully contained. In short this means that we handle everything from venue liaison to all set up, pack up and most importantly cleaning up – taking all the waste we have created, away with us. The event for the HP marketing team in London was a grand success with the leather padded mobile bar and cocktail reception supporting a strong team building evening for everyone involved. 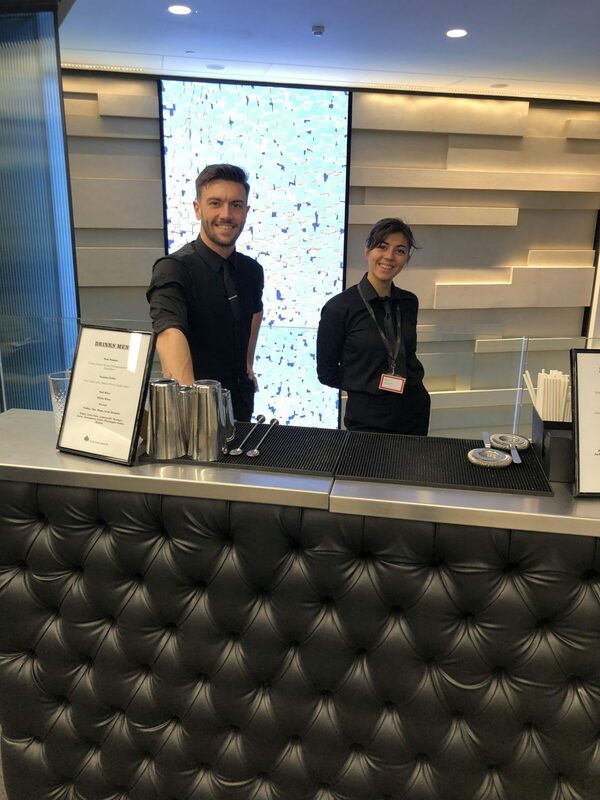 If you are interested in our leather padded mobile bar, leather padded mobile bar hire, mixologist hire, cocktail creation – or anything else then please don’t hesitate to get in contact!